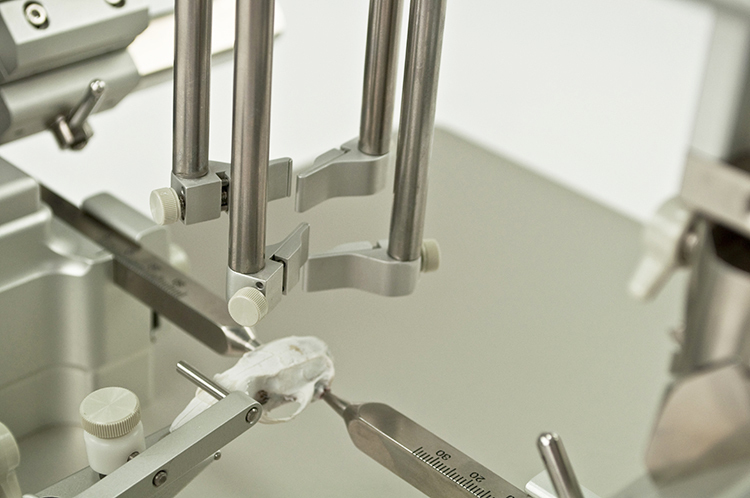 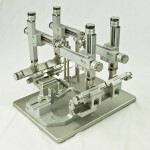 ASI Instruments is dedicated to engineering products that satisfy the needs of everyday Research Scientists. 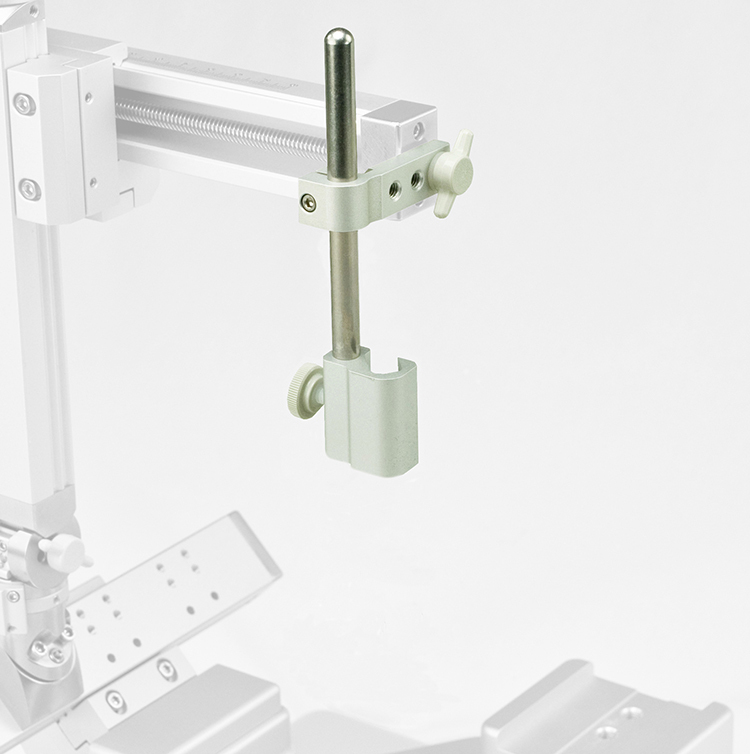 With the introduction of the SAS-4100 we brought this commitment into reality, presenting a product that is flexible but also practical. 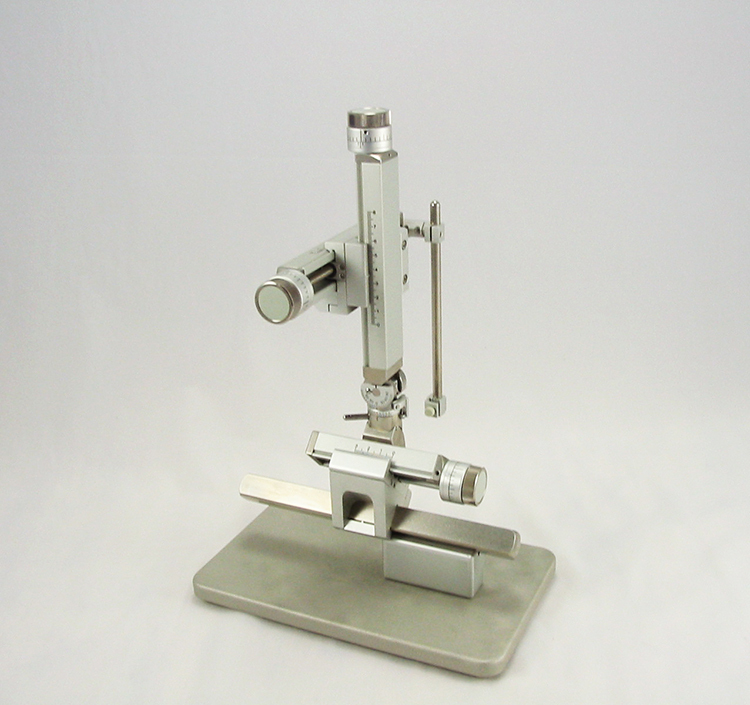 The SAS-4100 can be described as an economical option with innovative features that make this model stand apart from its contemporaries. 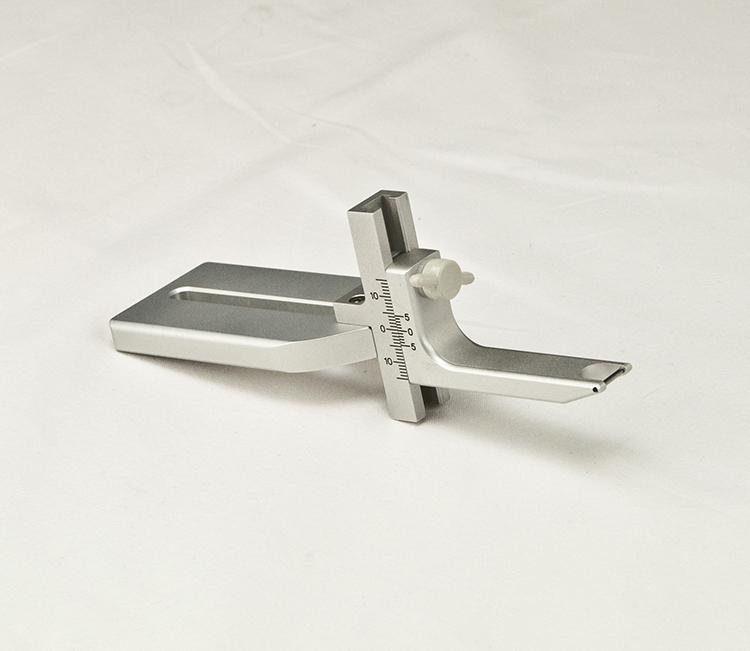 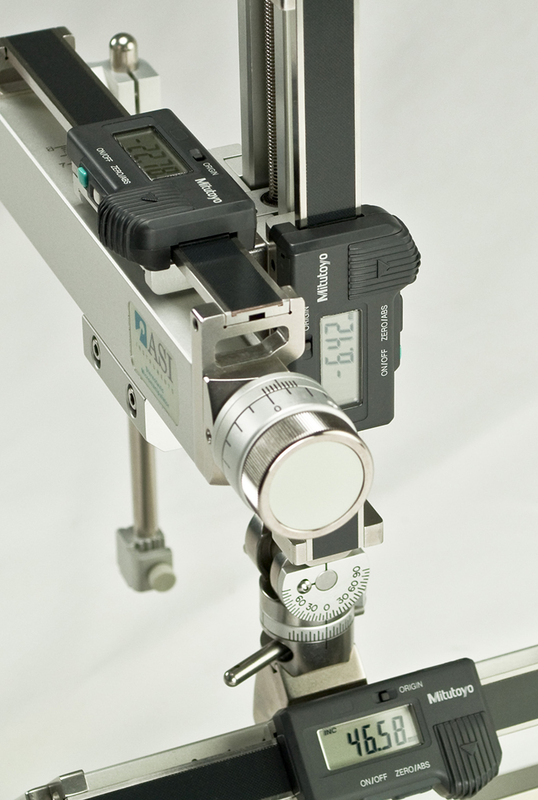 Our company was the first to offer the inclusion of Calibrated Knobs on all axes which provide researchers with not only greater ease, but more accurate readings than the vernier scales commonly found on other designs. 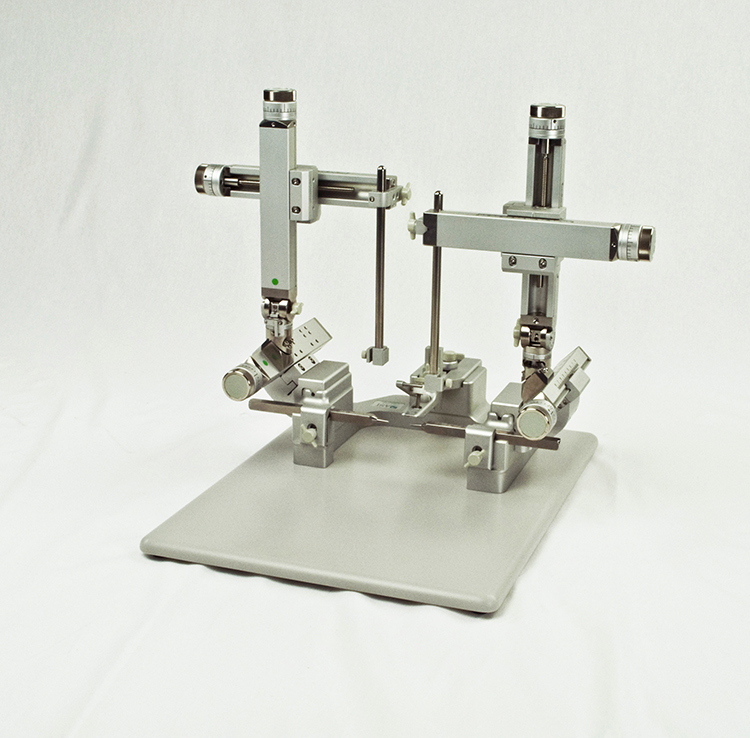 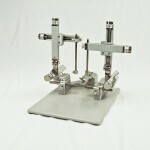 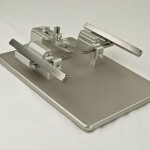 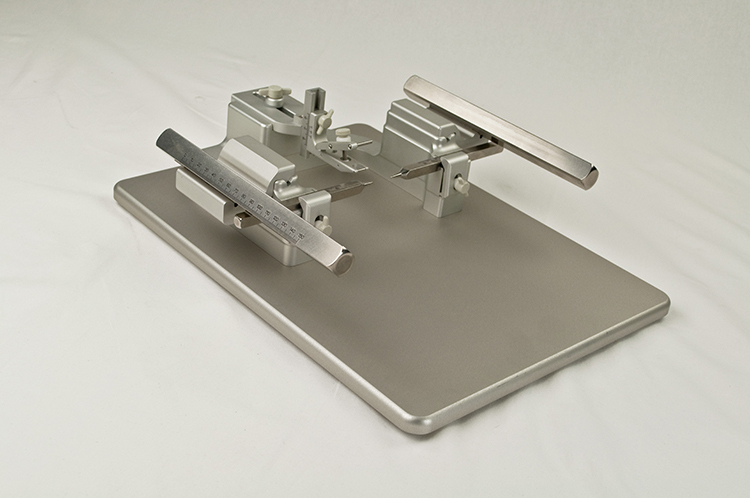 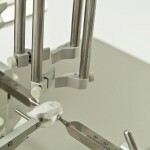 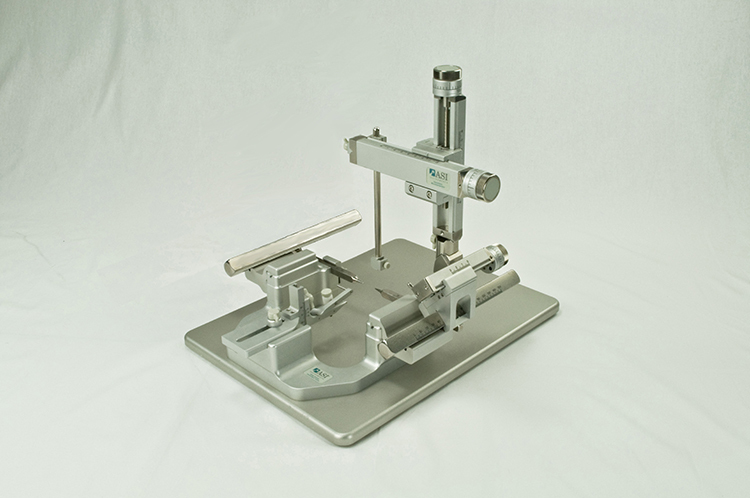 Advanced Slide Technology is integrated into the complete line of stereotaxic manipulators. 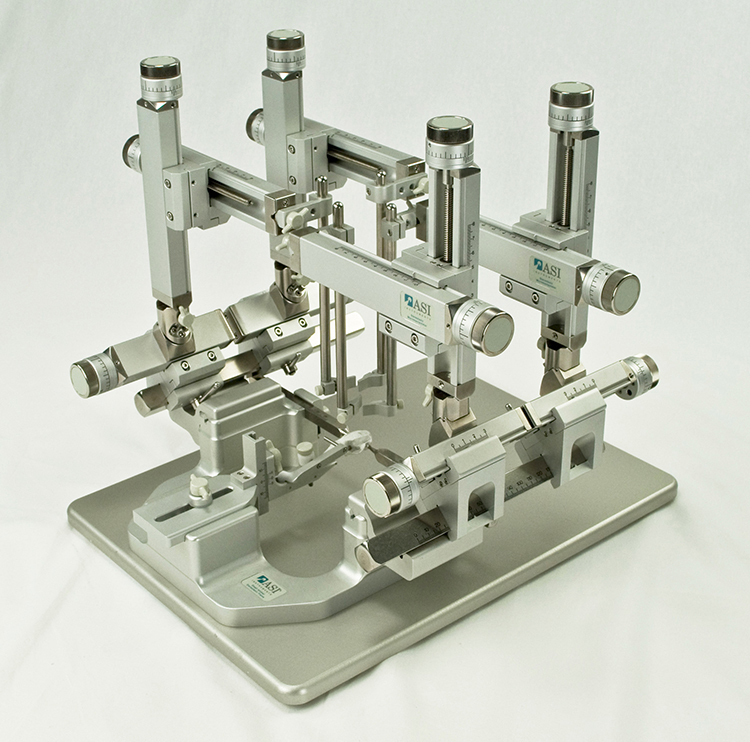 This technology provides researchers with unparalleled precision, with a user-friendly interface. 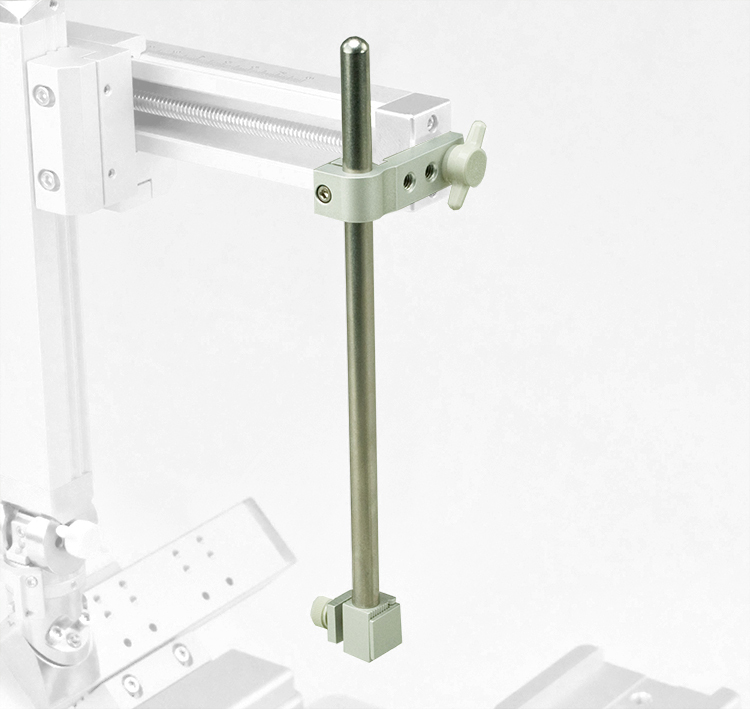 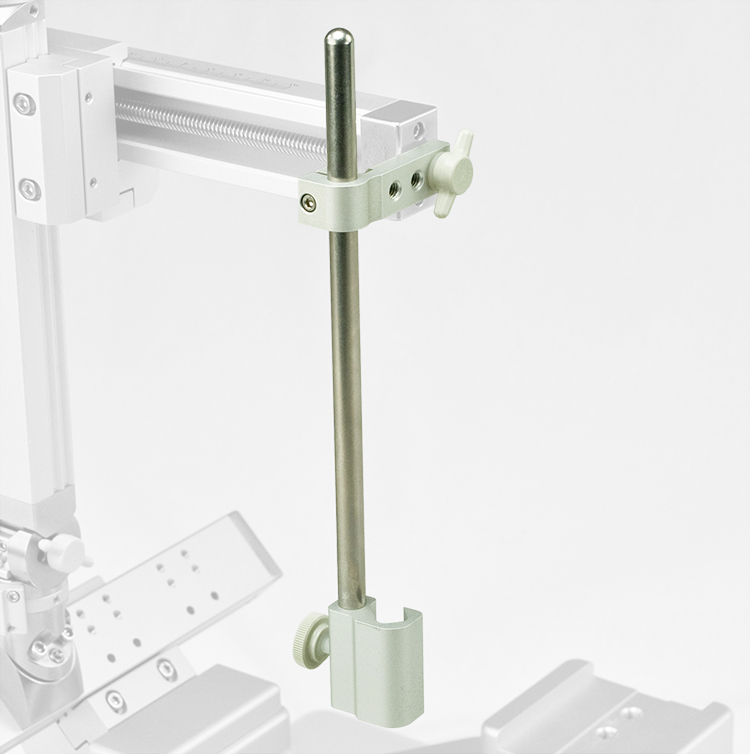 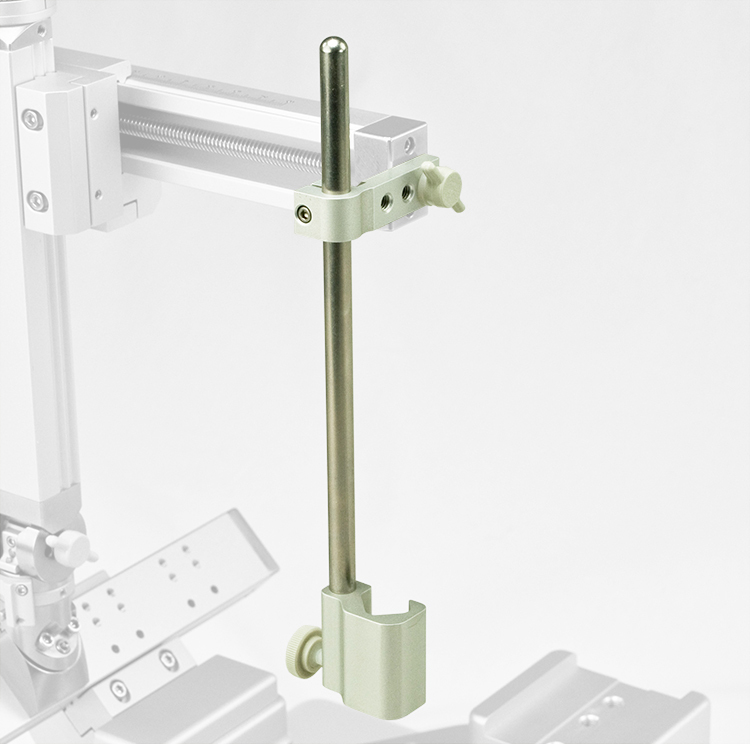 ASI Instrument’s innovative Tilt-and-Swivel Mechanism includes 90 degrees of tilt and 360 degrees of swivel, and is both operated and controlled by an intelligently designed single-lever, locking mechanism. 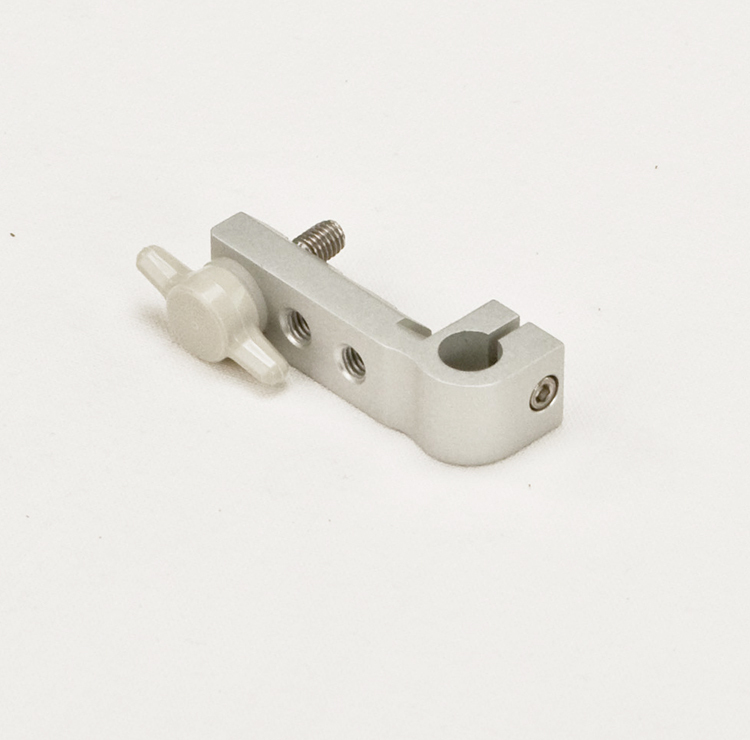 This is, by far, the easiest to use universal joint available and actually locks into place better than our competitors’ designs. 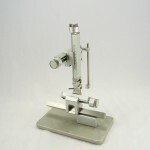 The Open “C” Frame gives users a more pronounced sense of openness as well as a depth of access to research specimens. 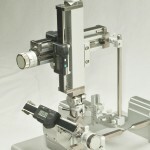 In comparison to raised frame designs, the open frame serves as a more reliable platform. 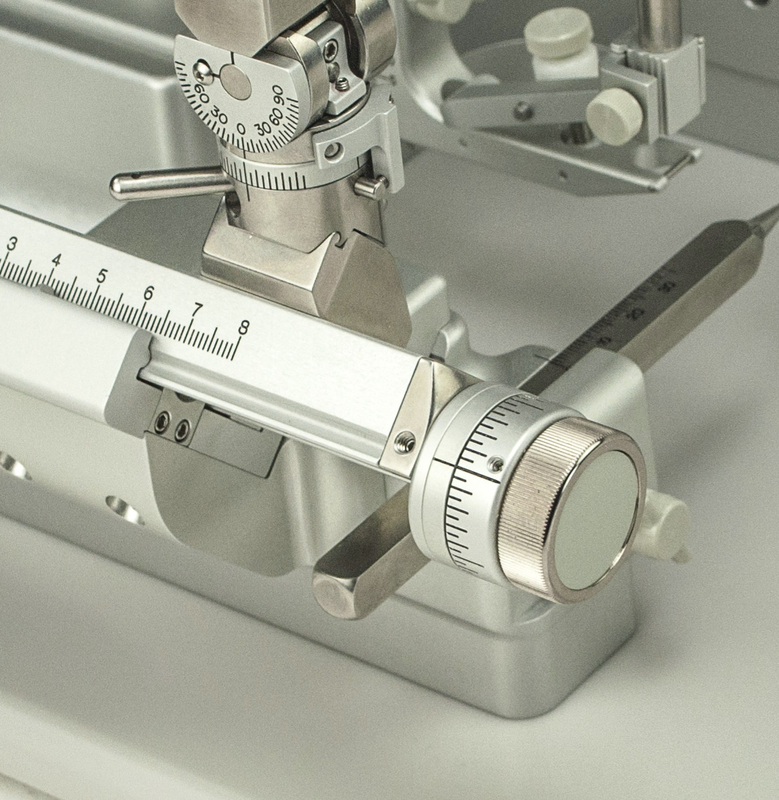 The SAS-4100 provides an unsurpassed stereotaxic surgery platform that not only guarantees reliability, but that is built with the subtle nuances that enhance the entire research experience. 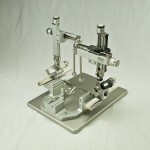 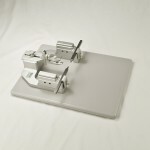 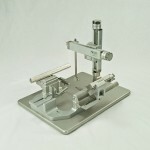 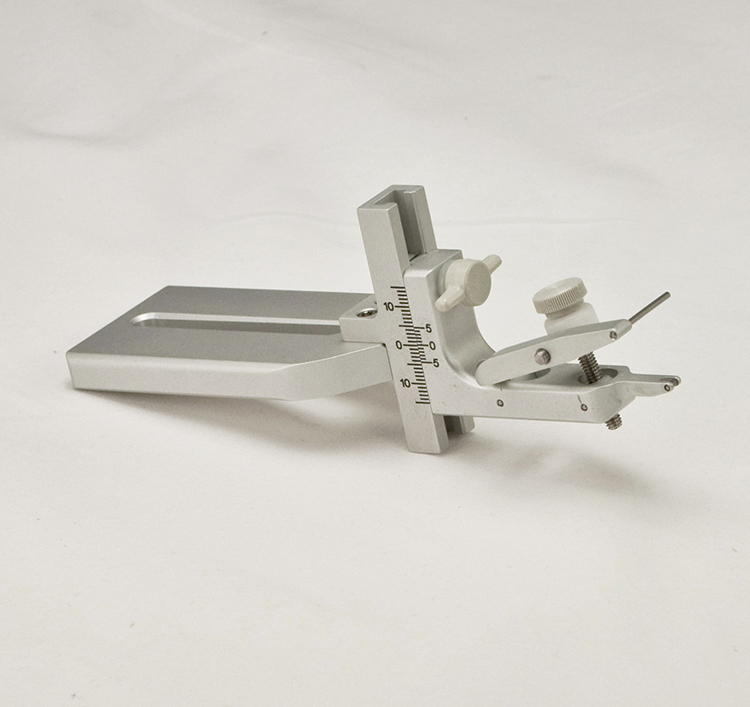 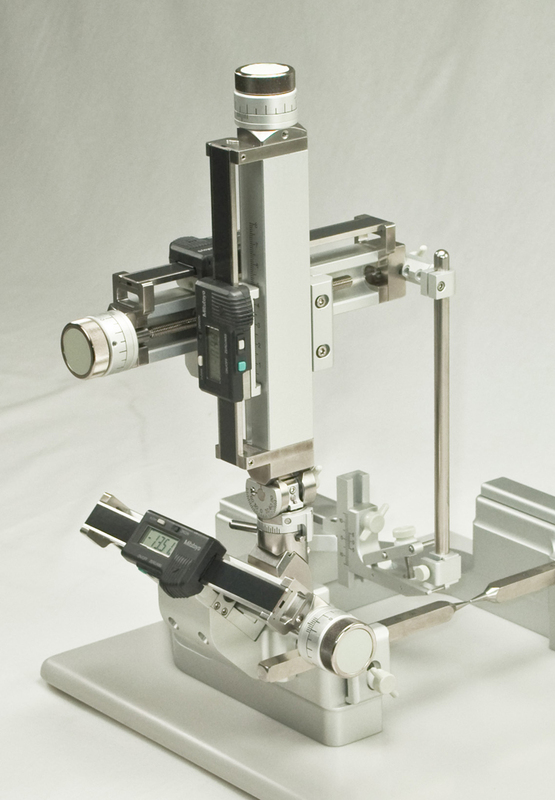 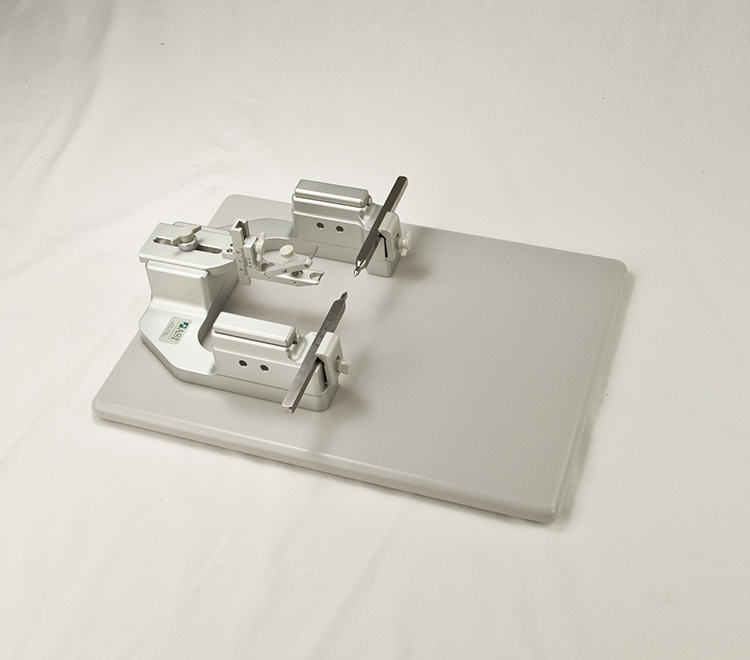 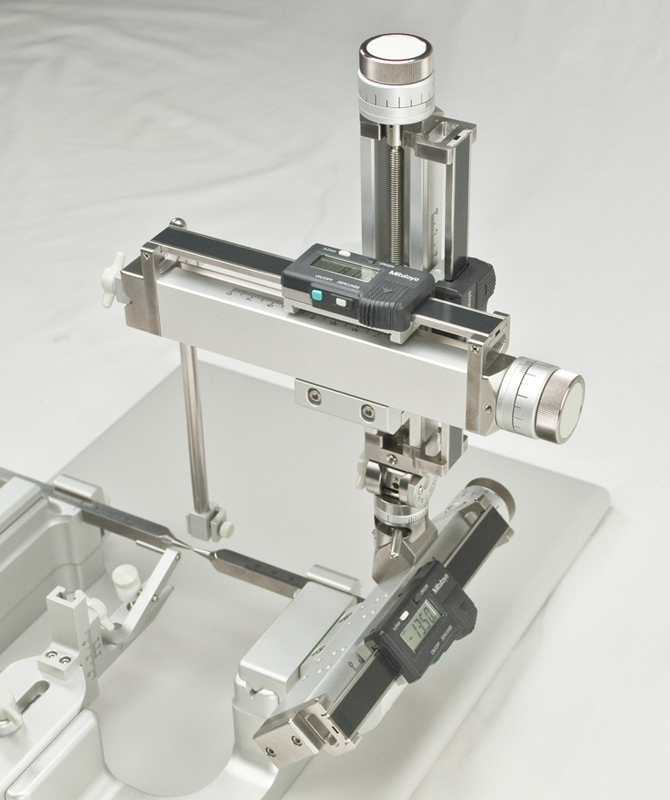 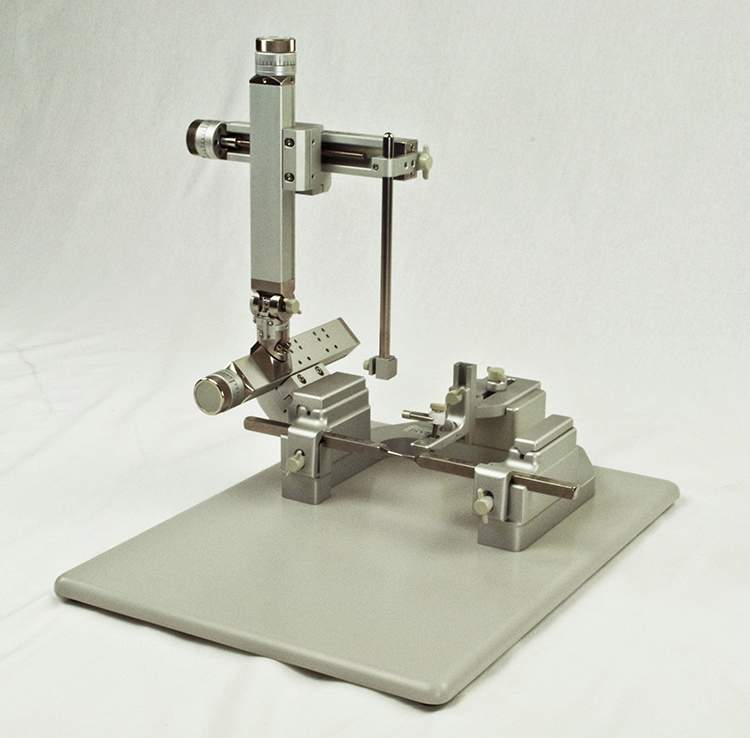 Stereotaxic Micromanipulators For use on 18.7mm or 21.65mm Square AP Bars, Please Denote Size When Ordering MM-4200 – MM-4400: Micromanipulators with 3mm per Revolution Lead Screws and 50 Micron Resolution via Calibrated Knobs. 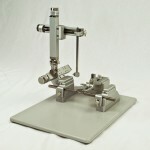 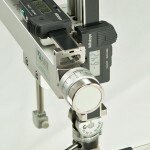 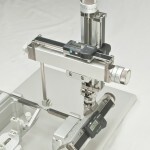 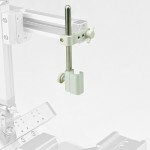 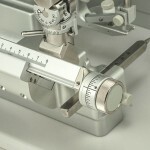 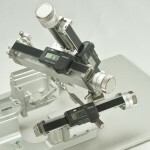 MM-5200 – MM-8000: Micromanipulators with 1mm per Revolution Lead Screws and 10 Micron Resolution via Calibrated Knobs. 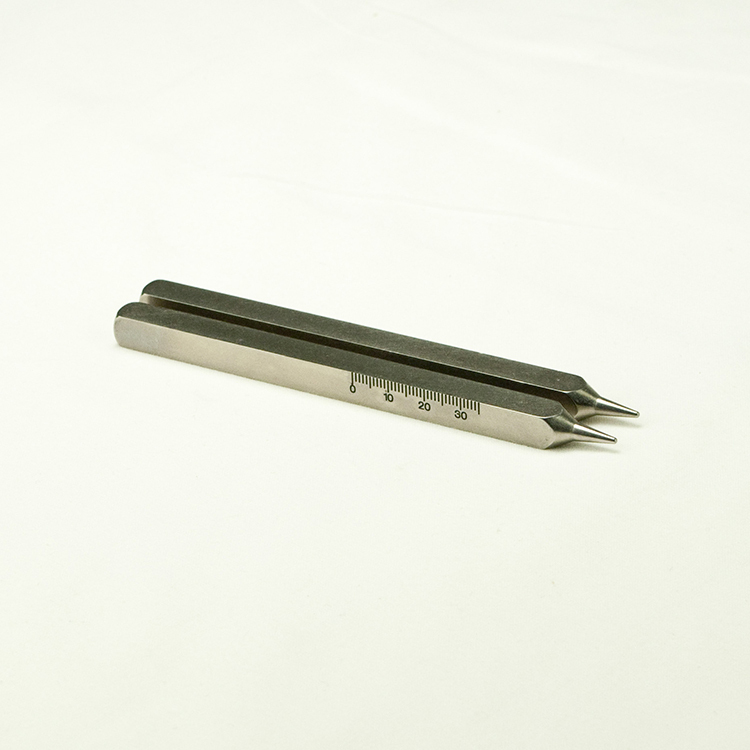 GP-500 | General Purpose Holder, .5” with 12.7mm Dia. 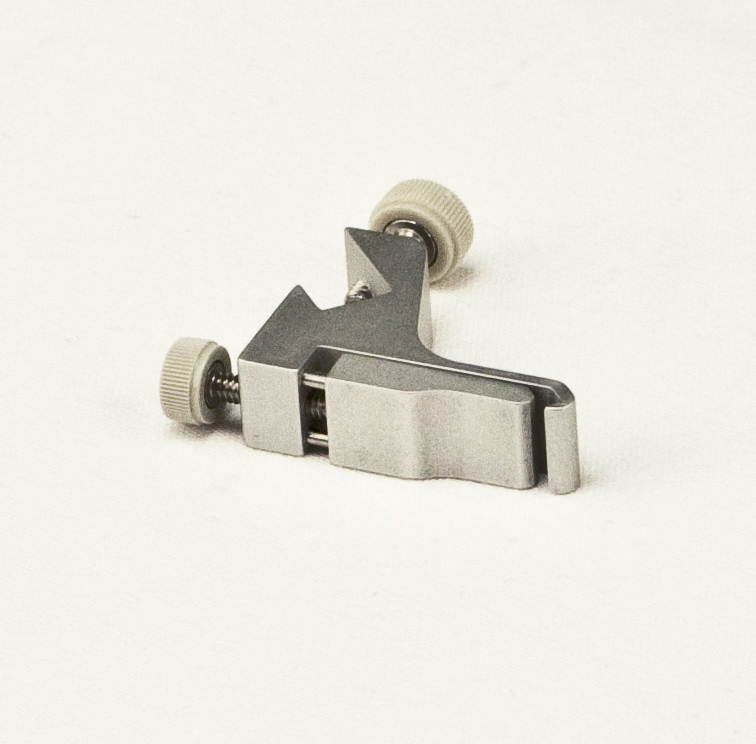 DH-1907 | Drill Holder, Holds up to 19.07mm Dia. 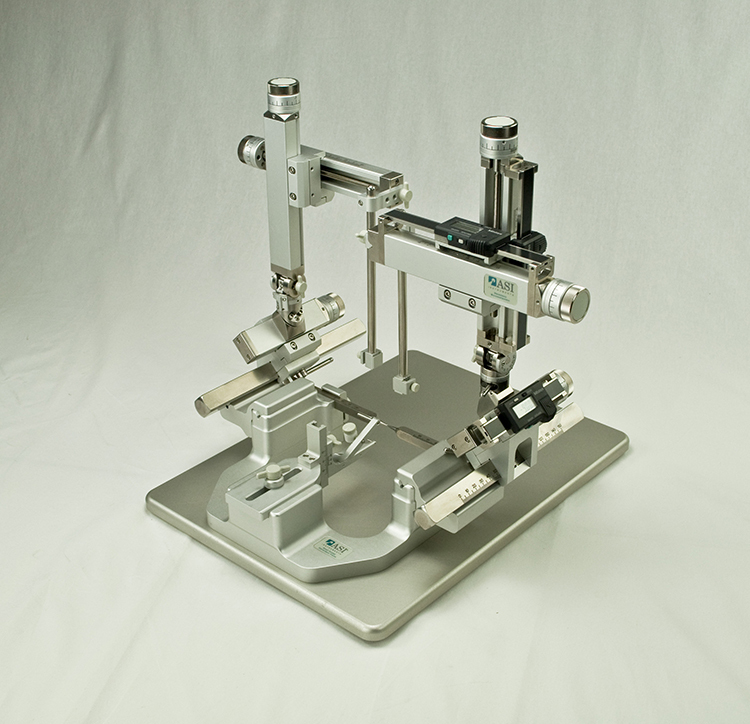 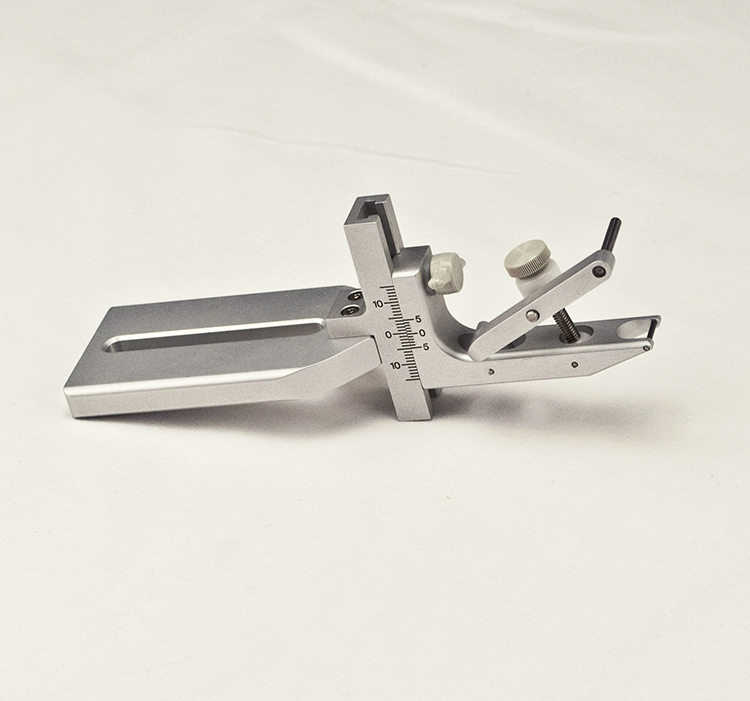 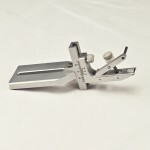 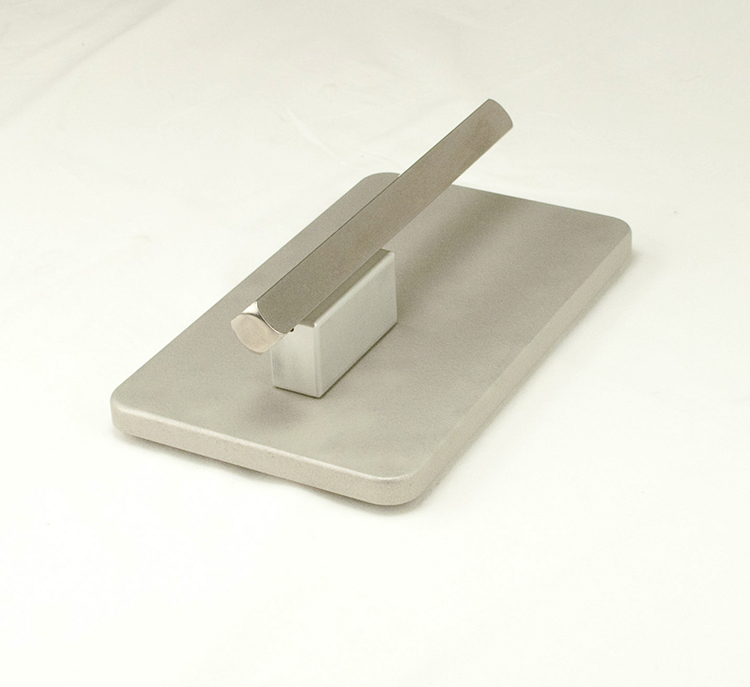 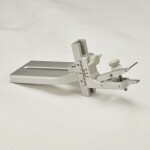 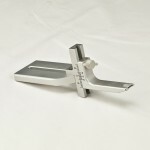 DH-1000 | Drill Holder, Holds up to 1.0” Dia. 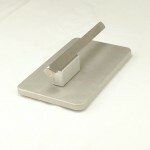 AD-312 | Adapter/Electrode Holder, .3125 Dia.